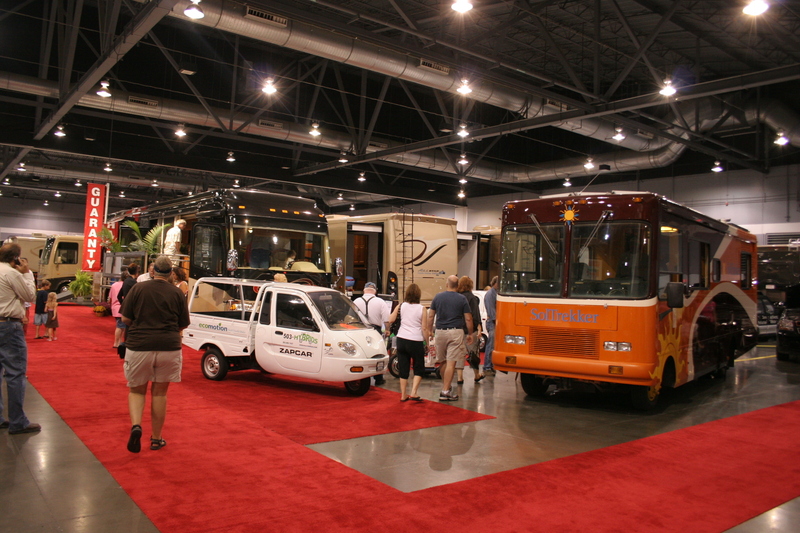 So we went to our first gig at the Portland Fall RV and Van Show, and although we were about 80 percent finished, sometimes you just have to get the ball rolling. So our ball is definitely doing that. Allison, Joe and I have been working pretty constantly for the last three months just getting all the materials and building the SolTrekker prototype, so we haven’t focused too much on other things like the website, the blog, a social life … you know, the small stuff. Now that things are just about finished, we’ll be able to get a little more balance. The show was good, and the people were a lot of fun. 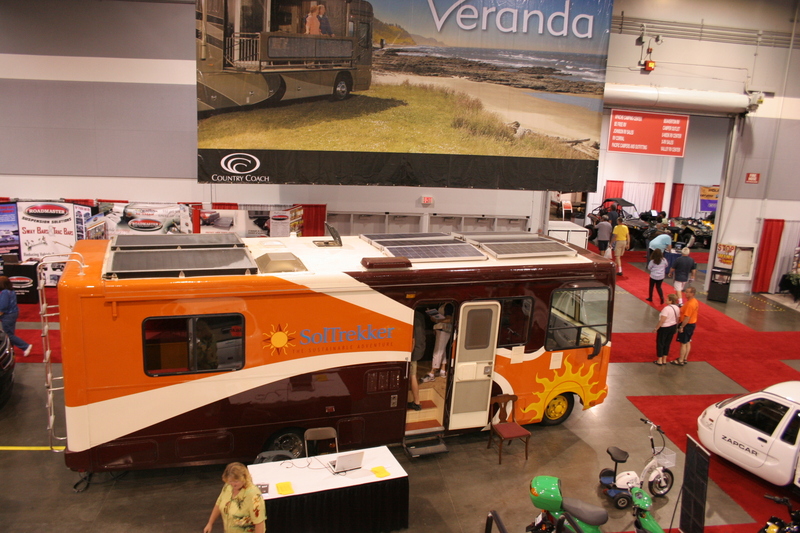 We were asked a lot about whether we’ll make other SolTrekkers that will be for sale, or what we would charge to turn normal RVs into SolTrekker-type rigs. I guess you never know where something will lead. The next show is the Portland “Build it Green” Home Tour, on Saturday, September 20. We will be a stop on the tour and an exhibit at the information fair at EcoHaus in Portland from 3:00 to 7:30. There will be live music and beverages, so if you’re here, and you’re able, we’d love to see you. Stay tuned for more updates this fall and winter. Our plan is to stay put, finish out the trim details to 100 percent, get the website in better shape and then fire up the school presentations next spring, as well as a summer tour following that. Thanks to everyone who helped out with the materials, labor and service on the build.